6 of the most scary words in the English language!! Instantly we feel nervous; our stress hormones start rising – even if these words come from someone we love and know cares for us deeply. Somehow, we feel threatened. In his March 2018 PinkCast video, Dan Pink shares 19 words that have been shown to have a positive effect in feedback conversations. Researchers call this WISE FEEDBACK! Click here to watch Dan’s video and see links to the work by Daniel Coyle. 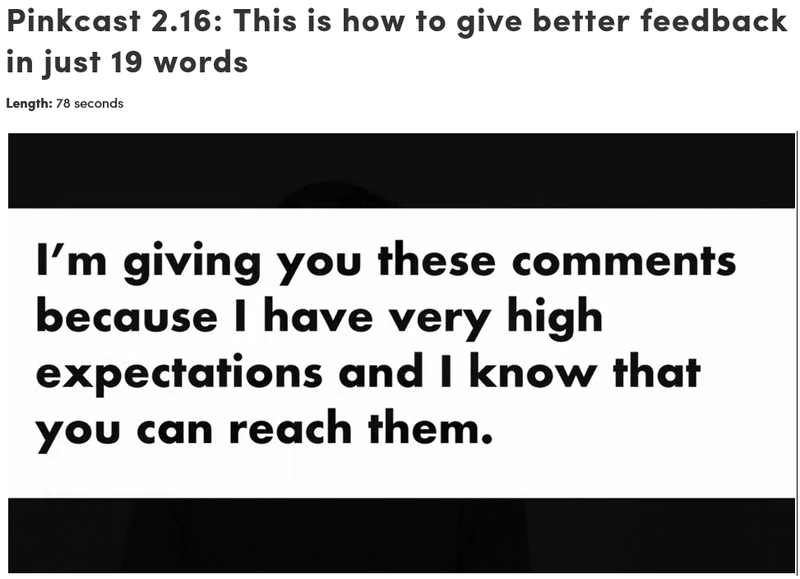 Click here to see other posts on providing effective feedback.